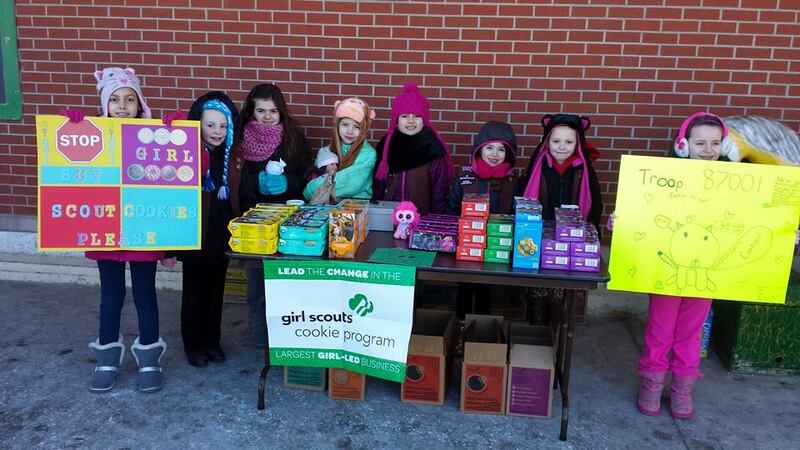 Wilmington’s Brownie Troop 87001 braved the cold on Saturday morning and sold nearly 20 cases of Girl Scout cookies, in just two hours, outside of Market Basket. Way to go girls! This photo is from the troop’s Facebook page. NOTE: Got a photo you’d like to share with Wilmington residents? Email it to wilmingtonapple@gmail.com and I’ll consider posting it!